With the first two Godfather movies, Apocalypse Now, The Great Santini, Network, True Grit, Lonesome Dove and another dozen classics behind him, Robert Duvall was already established as the premiere American film actor when this interview was conducted in March of 1991. He’d won an Academy Award for Tender Mercies just eight years earlier. A passionate horseman, the 60-year-old Duvall was at the end of a five-week visit to an equestrian training center in Newberry, Florida, where he was learning the fine art of jumping. There was plenty of talk about horses and tango dancers, too, most of which has been edited out to leave the focus on movie work and Duvall’s very specific acting technique. And on Lonesome Dove, which had been adapted from Larry McMurtry’s Pulitzer Prize-winning novel into an eight-hour TV miniseries. It had first aired in 1989, and was fresh on the interviewer’s mind – and Duvall’s as well. In the years since, Lonesome Dove – despite its small-screen genesis – has been put on a very short list as one of the greatest – if not the very best – Westerns committed to film. 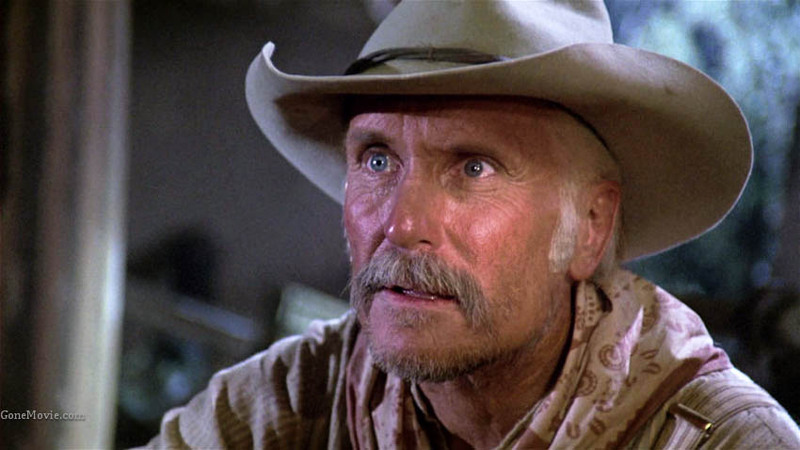 And a large percentage of that is due to Robert Duvall’s engaging performance as the irascible cattleman (and ex-Texas Ranger) Augustus “Gus” McCrae. The full interview was transcribed (for the very first time) in April 2015. What jumps out at me is Duvall’s refusal to call the Australian director of Lonesome Dove, with whom he did not get along, by name (it’s Simon Wincer). And the fact that he gave me more than an hour of his time, making me feel like I was an old friend he enjoyed bantering with. I have to tell you, I’m the biggest Lonesome Dove fan in the world. Well, that’s my favorite part I’ve ever played. I could have retired after that. The English can play Hamlet and King Lear, I’ll play that part. I loved that part. I had read the script first, and then I read the book. I read it in like 10 days. The script was well-written, so it was pretty parallel to the book. 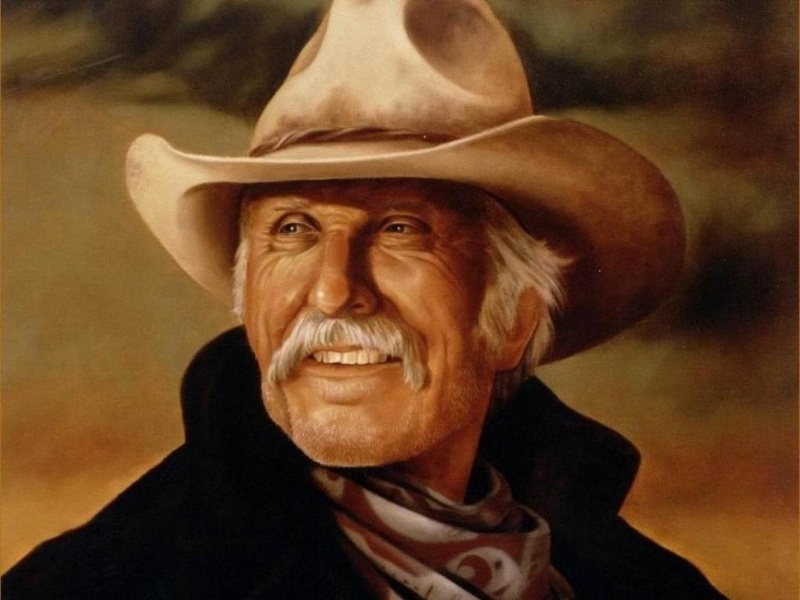 What attracted you to that part of Gus McCrae? Oh God, that’s a great part. What happened was, I had played parts like that on the stage, more outgoing than the other part, Woodrow F. Call. That’s the kind of part I get offered in films. They offered me that part. So I told my agent, “I know they’re considering your other client, James Garner, for Gus. See if he’ll switch parts, and that way I’ll do the project.” He must have called me back in about three hours and he said “James Garner has passed – because of his bad back, he can’t go 16 weeks on an intense location. Maybe a movie, but not a miniseries for 16 weeks.” Like people wouldn’t do Apocalypse Now, because they didn’t want to be there for a year. So then I said “submit my name for Gus. The script just drew you along. I did some research, but you didn’t have to. You just followed the thing, it was so well written. Did you get lost in that part? Did you become the character? Sometimes I don’t get along with directors. We had our problems, but … I had done it, and he said “Do you want to go for another take?” And they don’t always say that, but I’m glad he did. I said “Why not?” They had two cameras. When it happened – boom – it happened, and it was as good a moment as I’ve ever done in my life, professionally. Thank God they sent me the tape first, because it was not in the final print. I don’t know if it was spite they didn’t put it in there … whatever it was, it was stupidity. I wasn’t on particularly great terms with the director at that point, so we called the producer. This guy had a lot of control. I said “Please, this is not in there, it’s got to be in there, if you never put anything back in there …” I don’t know, the editor must have been a moron. Yeah … it was like life. And when you see Westerns, you never see the vulnerability in men like that. But when I was doing a little research on the Texas Rangers, they were macho killers. But in between, they would put on plays, they would paint. They were interesting guys as warriors. And when one of their leaders was shot along the Rio Grande, all the men just burst out in tears. They wept, openly, because their leader was killed right in front of them. So this kind of moment just took over. I don’t know where it came from, but it came. And I probably couldn’t have repeated it. If it was a play, every night, I couldn’t have repeated it. A lot times with emotional things like that, when you get news that your mother died, your father died, sometimes there’s a delayed reaction, an hour later. But the way this happened, also happens in life – boom, a sledgehammer. The guy was a TV editor. He was all right, but ultimately, maybe those guys were hacks, because they’re thinking “TV.” They don’t look for moments. They don’t even know what a moment is. Yeah, those guys … or when he was talking about Lorie, by the creek, they had a moment … those things happened to those guys. And I know as an actor, I can do those things. And I think that’s sometimes what critics and other people miss. Usually the other actors are the ones who can see if an actor can do that. I know of actors that are famous – I won’t say their names – and I’ve seen them try for it in movies. Talented guys. They back up and miss. A guy like Brando can do it. Sometimes De Niro can do it. But other actors I’ve seen, they go for the money but they can’t make it. You can’t plan it, necessarily. So when that happened, I said “That’s one of the greatest moments I’ve ever had in my life.” And this jerk, the editor … I don’t know if they did it out of spite because we had a little falling out at the end, or if they left it out on purpose. I don’t know. And I appreciate your bringing it up, because it was as good a moment as I’ve ever had. The script guided me and drew me along. But I love traveling around and looking for something that’ll help me with a part. We got in a car and drove way out in West Texas, in the middle of nowhere. We looked up old Sammy Baugh, the old quarterback for the Washington Redskins, a great, great talent. But he’s a cowboy. He was a professional football player, and then he retired. I just read about him. And the way he talked with his hands caught me. He was 70, with white hair, and still like a champion. To this day, I don’t think he knows who we were! He came in and talked to us for about two hours. But he gave me that extra thing I needed, the gestures. And I’d get those things in the part, you see? You know what I say? I say if the mafia guys had crossed the Red River, they’d have been hung by their nuts from a tree. Those Texas Rangers are rough dudes. And there are a hundred of them left. They have to be as mean as the people they’re pursuing. One of the toughest things about watching Lonesome Dove was that you died at the end! The emotional line of the character is the most rewarding thing to get. And you gotta be loose and relaxed to get it. And it’s something you can’t plan. The emotional moment, if you try to sit on it – like when Jake’s hung, swinging – if you try to sit on it, in any given documentary, it’s more moving. When you see a guy talking about his son he lost in a flood, and he’s trying to sit on it. It’s like Sandy Meisner used to say in acting class, sitting there with his cigarette holder, “If crying meant great acting, my Aunt Tilly could be another Eleonora Duse.” If the emotion is there and it shoots out, and you try to fight it and let it come out this way – put a lid on it – then it’s more effective because it’s become like life. Life is like that. So why try to force it, and then if it happens, it happens. It’s like in The Godfather, when I have to tell Brando that Sonny’s dead. We’d done four takes, and usually that’s it for me. And there, Coppola said “You want to go for one more?” I said well, why not. And the moment was difficult, emotionally, to tell Brando’s character that Sonny, Jimmy Caan, had died. So that worked. The other takes were OK, but this became a special moment. People say “bigger than life.” That’s such a trap. Nothing is bigger than life. If you make selections from life, then they’re seen as bigger than life. But nothing is bigger or more enriching than life. Couldn’t you have overplayed Gus? Hammed it up? Oh, yeah. But I think the thing is, once again, to be specific with the emotional line. And therefore, if it needs to be big, then your bigness is justifiable. … then I understood that he was a huge progression from Mac. One of the first things I did, my first film, To Kill a Mockingbird, was with Horton Foote. Then we did a Faulkner short story called Tomorrow, and I played Jackson Fentry, who was really an introvert. And that’s why I didn’t want to do a guy like Call. I wanted to go the other way, which I knew I could do. And we’ve just done another Horton Foote project, which is a little different. It’s more like my uncles and my Dad from Virginia. Interesting piece called Convicts, which is one of his favorite things. In a way, he’s my guy, Horton, and yet Horton loved Lonesome Dove. I love doing rural guys. There are other things I want to do, too, but it’s hard to get ‘em off the ground. I’ve written a script where I play more of an urban guy, in this tango thing I’ve written. Connecting the two cities, New York and Buenos Aires, two middle-aged guys through social dancing. I know a guy in New York, an actor named Frankie Gio. He’s from South Bronx. He says “I got two gifts in my life – fighting and dancing!” He used to be a bouncer at Roseland. He said “Italians could jitterbug, the Jews could mambo!” (laughing) So we used to go up to the Palladium in New York and all that stuff. I’ve kind of written the script, and Ulu Grosbard who did True Confessions – he’s a good friend of mine – wants to do it. Another thing I’ve developed is where I play a Pentecostal preacher. For years I’ve wanted to play one of these guys. It’s called The Apostle E. F. Hart, which was my mother’s name. But I can’t use the name Hart, because there are six preachers in Texas with that name, and I’ll be sued. So we’re just calling it The Apostle for now. That would be a great challenge, I would think. Oh, yeah. I dug up old J. Charles Jessup, who I used to listen to – he’d be on the radio from Del Rio, Texas years ago – that was their version of television, the evangelists. They were radio preachers. I always thought he was black, but he was white. And he was put in jail. And you can’t read ‘em when you meet ‘em. You can’t read ‘em as much as you can a gypsy. Gypsies are gypsies, but preachers are preachers. You don’t know, you know? I saw what happened to Swaggart, and so forth. I think some of the guys, when they’re right and a little bit honest, they’re pretty interesting. And talented! They can preach for three hours with no text. Unbelievable. Unbelievably talented. They say the only truly American art form is the American preacher. Some of the music, maybe. Jazz and country music. You were going to make a record after Tender Mercies, weren’t you? I made an album but it never came out, because the guy that produced it is a very strange guy. Chips Moman. He’s a very talented songwriter, and there were a couple of interesting songs. But it was six years ago. Maybe it’ll come out, I don’t know. Are you sorry it didn’t? Well, yeah, but the sorrow’s subsided because it’s been six years. It’s ridiculous. I mean, you make something, you come out with it. I don’t know what that’s about. Even if only three people hear it. How much like Santini was your father? Not a lot. My dad was quieter, and more of a brooder. He had a temper, but it was more of a brooding thing. My mother was more like Santini! I’ve met a lot of people who said their fathers were like Santini. They say this, or that, or what an ogre, but a lot of people had fathers like that, who they loved. At least he voiced things. He wasn’t so passive that he never voiced opinions … at least there was a care there. Are there things in your career that you wish you hadn’t done? I’m sure. I’m sure. I don’t think about it too hard. If I did, I’m sure I’d come up with a few! You do things for money sometimes. To pay the rent, you know? Anything you believe you could have done better? I have a superstition that once I’ve done ‘em, I see ‘em once or twice, then after three or four years I don’t want to see ‘em again. Then maybe if I’ll see something, I’ll watch and think well, if I don’t embarrass myself I figure I’m on the right track. I figure if I watched everything I could pick out what I’d want to do again. You were offered The Silence of the Lambs, but chose to do Days of Thunder instead. Why? First they offered me one part, and then the other, and I said “I’d rather work with Tom Cruise than wait around for these people to make up their minds.” First, I had lunch with the guy to play the Anthony Hopkins part. And he calls me 20 minutes later and says “I think I’d rather have you play the FBI, and have Anthony Hopkins play this.” Which was a strange move for a director to do. So I’m just as glad I did the Cruise thing. I think that Silence of the Lambs is a well-made film. I don’t think it’s a great film; I don’t think there’s one great performance in it. I think that the guy’s very effective in the part; I think it’s very, very talented clichés. There’s nothing really fresh about it, because it’s like made-up material in a way – a guy eatin’ a liver, and this and that. But it was well-made. A little hammered-home with the close-ups. It held your attention. But it was nothing near as well-made as my favorite film in many, many years, My Life As a Dog. I love stuff with kids. To me, My Life As a Dog was a perfect, perfect film. Do you read your critics? No. The last Broadway play I did, Mamet’s American Buffalo, that and Lonesome Dove were the greatest reviews I’ve ever gotten. It was like I wrote ‘em myself. But I get superstitious, even though they were good. I don’t collect ‘em, good or bad. Let me just say this. I would be in trouble if all these critics liked me, or other fellow actors didn’t like me. When Steve Hill tells me I’m his favorite actor, that’s the greatest criticism. There was Steve Hill and Marlon Brando at the Actor’s Studio years ago, and Steve Hill was Strassberg’s favorite. But he’s a maniac. He’s a Hassidic Jew that won’t work on Friday nights. But he’s very gifted. He was in a Horton Foote movie called Valentine’s Day, played the craziest part. Wonderful. So when he gives me a gives me a review that’s positive … or when Waylon Jennings wants to meet me because of Tender Mercies … he told me what I did was absolutely impossible. And that’s play a Texan. So if I get a review from him like that, or from Steve Hill, then really that’s more valid than something that’s in the newspaper. If somebody likes me or doesn’t. Like when Brando and these guys went to New York, he studied with Stella Adler, certain people studied with Uta Hagen. Nobody went to a workshop by Pauline Kael. Can you still learn things from other actors? You mean about my profession? Yeah, I learn more from other people, or documentaries, than necessarily other actors. I think Brando used to watch Candid Camera when he was a young actor, which makes a lot of sense. Why didn’t you do Godfather III? Well, it was money. Coppola went on the Larry King show and said “Bobby Duvall wanted loads of money.” But see, he twists it a little bit. The truth is that I said “It’s unacceptable that Al Pacino gets paid five times what I get paid.” Two, two and a half times, I would consider it. It wouldn’t be ideal, but I would accept that. But they didn’t even extend that as an offer. So I figure, the only reason anybody’s doing Godfather III, I’m sorry, Coppola included, is the money. He’s about to go bankrupt, lose his house in Belize. He already lost his house in San Francisco, and they’re trying to foreclose on his beautiful estate in Napa Valley. So he needs money badly. Why wait 15 years to do a third one? It was for money. And if it wasn’t going to be proportionate, the correct amount at least as far as I was concerned, then I didn’t want to do it. I wondered if you felt that Tom Hagen was part of you and your history – that, God forbid, they might re-cast the role with another actor? It’s ironic, they had my ex brother-in-law, John Savage, play my son. I was married to his sister, Gail Young. Not just my character, but I felt one of the weaknesses maybe in the film was that they didn’t have those fringe characters like Frankie Pantangelo and Paulie Gatto from the first one. There wasn’t enough of that to enrich it, really. Yeah. It was OK. It wasn’t nearly as good as the first two. I turned on Godfather II about a month ago – I didn’t know it was on, and it was about an eighth into it. I said “That’s Godfather II, let me watch it for a minute before I go on to some sports …” And I could not change channels until it was over. It was that well-made, I thought. He’s not the same filmmaker now, Coppola. The stuff he’s done lately – teenage movies in Oklahoma, he’s just not the same guy. And I think it’s because he directs some trailers, and he’s into the technical aspect and the futuristic thing of everything. Well, we’re working on several projects. Everything’s a little elusive right now. We’re trying to get the rights to Eichmann in My Hands, the guy that actually, physically made the kidnapping of Eichmann in Argentina. We’ve contacted the guy in Israel. I want to play Eichmann. So we’re working on that and a few other things. Sometimes it’s slow, especially when you have personal projects, it’s very hard to raise money. Are there things that you would like to play that haven’t been offered to you? Oh yeah! I’d love to play Schindler’s List. You know the book? He was an industrial German, a Catholic Christian who saved 1,200 Jews? Ah, what a character! Man. It’s by a leading Australian novelist – I forget the guy’s name – who wrote this true story, but in kind of novel form. It’s one of the most moving books you’ll ever read. And it’s great – a true story! I know that first Spielberg was gonna do it, then Scorsese, and now I think Peter Weir’s gonna do it. I’ve worked twice with those Australian directors and haven’t gotten along – so maybe the word’s out! But I really feel I could do that part. It’s a great, great part. Strange, complex guy. They don’t know why he saved these Jews. Even though he would court the SS, gamble with them, give them caviar and food. To kind of help his position, and help the Jews at the same time. I would like to do that. I want to do my preacher project, I want to do my tango project. Most of the things that I do have come to me. I don’t have readers. We develop projects. I’ve been fortunate that the things that have come to me have been great. ‘Cause when I’ve tried to generate something, like the preacher project, it’s tough. It’s tough to get money. I’m not good at it. (laughs) It only helped to get a little more recognition at airports! That’s where you get recognized anyway. But no, nothing really happened. The next film was The Natural. Yeah, but I didn’t even want to do that. Redford asked me to do it, and he wouldn’t even give percentage points. My wife talked me into it. I don’t know, it was something to do. It was a fun project; I like working in Buffalo. It’s near Canada. I like Canada. Good Chinese restaurants. Were you mad you didn’t win an Emmy for Lonesome Dove? Let me put it this way: I was a little surprised. And I will never go back for another one. Never will I go back. Because it’s decided by committee, not by other actors. It’s almost like, when you keep saying something’s great, they go the other way. It’s didn’t win anything! If I ever won an award, it should have been for that. Even more than the Oscar. I mean, that was my performance. What can you say?